A Spoonful Of Words – Or maybe two or three or ten. Or maybe two or three or ten. Recently, I came across Smartling, a translation software company that translates website content into different languages. As someone who spends quite a bit of time reading manga, I’m not that new to the business of translated works, but it’s something I hadn’t really spent a lot of time considering before. But after spending some time on the site, it got me thinking about the time and energy that goes into act of translation, not only of web content but of books. Mostly, it got me thinking about the most important aspects of a book when it’s being translated from one language to another, and what–if anything–is the MOST important thing about a work that should stay consistent between languages. Ironically, one of my recent favorite books is BATTLE ROYAL: REMASTERED by Koushun Takami and translated by Nathan Collins. The translation is so well done that it’s easy for me to forget that the book was originally written in Japanese and published more than 15 years ago. For those of you unfamiliar with the plot, BR has often been described as the poppa of THE HUNGER GAMES (if you say it was based off of THE HUNGER GAMES…YOU. ARE. WRONG.) A class of junior high students is taken to a deserted island where as part of a ruthless authoritarian program, they’re each given a weapon and forced to kill one another until only one is left standing. Not only is the book exciting, but it’s a insightful look at fear and the strength of friendship. Even though I can’t speak about the source material (my Japanese is limited to the few phrases I learned in one semester in college and the copious amounts of anime I watch in my free time), one of the things that made this edition of BR so great was its voice. Despite the fact that there’s more than 40 characters who die–and yes, you get to know ALL of them before they die, even those that show up for one chapter before kicking the bucket–the book reads very much like YA, my favorite genre. Through dialogue and action, each character’s personality comes through on the page, despite the dark nature of the plot. Which is why when I really think about it, I think one of the most important aspect of a translated piece of literature is its tone. To be a good translator, I think you need to understand just how words work. You can’t just translate word for word. You need to get the rhythm and overall tone right in order for a book to reach its chosen audience. As a reader, the tone is the first thing that reaches me, even before I know the main character’s name. The most faithful translation is generally agreed to be one that draws from the widest range of inferences (that is, aspects related to the text) and channels them into the most coherent package possible. Translations will always be different depending on the needs of the target audience and how the source text is viewed at the time, so there is no such thing as a “definitive” translation. Based on experience, I have to agree. You can’t translate a novel that’s casual and fluffy to something that’s literary. I believe a good translation is one that’s honest to the text, while meeting the expectations of the intended audience. If that’s not your goal, then you might as well write a completely different novel. One of the cool things about Smartling is that their mission is to preserve and carry the original intent and purpose of text for all readers, regardless of genre. With all that said, what do YOU think is the most important aspect you’d want to remain consistent in a translated edition of your favorite book? It’s Saturday, which means it’s once again time for Stacking the Shelves! 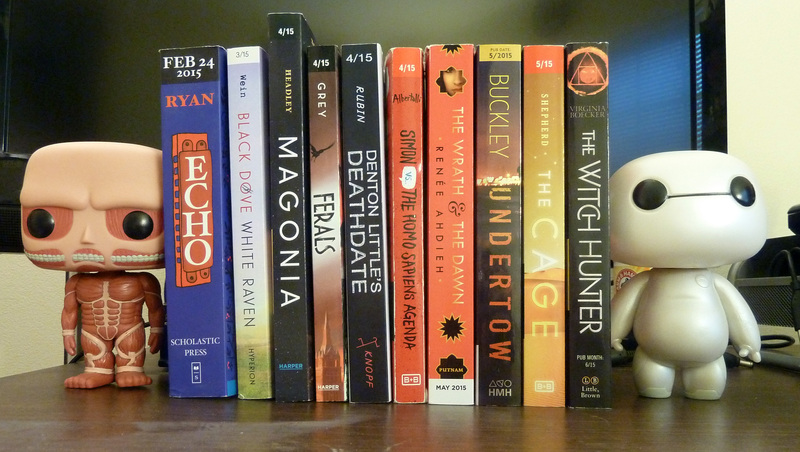 Stacking the Shelves is a weekly Haul meme hosted by Tynga’s Reviews, where bloggers can gush about the books they’ve picked up for the week. This is my second week participating. I’m especially looking forward to reading ALL THE BRIGHT PLACES by Jennifer Niven. Suicide is a tough subject to read about but I’ve heard a lot of good things about the book. What did you guys stack your shelves with this week? Thankfully, there’s a new meme–well, not really new, it’s been around since 2012–called Stacking the Shelves, hosted by Tynga’s Reviews. Usually they host on Saturdays, but since I just discovered them I’ll post this week’s Stack today and then post on Saturday next week. I’d wait until next week to post everything but this week’s haul was a good one, and one that I just can’t wait to show off! Well, that’s it for me this week! What have you guys stacked your shelves with recently? Hi everyone–long time no post! Once again I was asked to to be a guest writer on Girls in Capes–this time to write a review of FIREFIGHT by Brandon Sanderson, the sequel to STEELHEART. For those of you unfamiliar with The Reckoners series, it’s a YA post-apocalyptic fantasy that takes place in a world similar to our own. Ten years ago a burst in the sky called Calamity gave people extraordinary powers. These people–called Epics–have the power to do anything from manipulating electricity to transforming into pigeons. You’d think that a world filled with people who have super powers would be great a place to live, right? Wrong! Apparently, with great power comes great desire to destroy and crush mankind’s will. Society as we know it crumbled under the might of the High Epics (those with top-tier powers) and now the remaining humans struggle to survive in a world where their “rulers” don’t really care if they live or die. 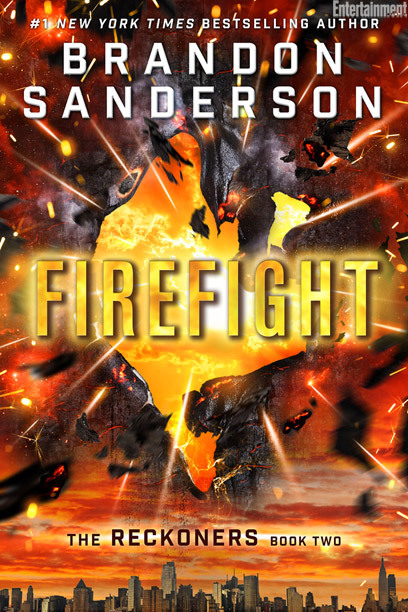 Even though FIREFIGHT takes place in the same universe as STEELHEART, Babylon is a completely different world, complete with half-submerged skyscrapers, luminescent fruit, glowing graffiti, and a water manipulating jet pack. The result leads you to believe you’re almost going through a post-apocalyptic wardrobe, landing in a city that borders on the fantasy line of speculative fiction. This setting made the perfect backdrop for David’s character as he begins investigate the truth behind Calamity — a truth that once revealed, will destroy everything you thought you learned in STEELHEART. Is FIREFIGHT worth the read? Oh yes. Really want to know why? Go check out the full review on Girls in Capes! They’re also doing a giveaway. Contest ends on February 22, 2015. Harper Price, peerless Southern belle, was born ready for a Homecoming tiara. But after a strange run-in at the dance imbues her with incredible abilities, Harper’s destiny takes a turn for the seriously weird. She becomes a Paladin, one of an ancient line of guardians with agility, super strength and lethal fighting instincts. Alright, so let me be the first to admit that Rebel Belle is a bit deceiving. At a glance, you might think you’re in for something sweet, silly, and lighthearted—your usual bubble-gum paranormal romance. And it is. Kinda. For like…the first five pages or so, just before Harper Price, regular lip gloss-wearing Homecoming-obsessed teen, is forced to kill a dude with a shoe. A pink high-heeled shoe in a girls’ bathroom, to be specific. Granted, it was in self-defense, but still. Sorta slaps that sugary expectation right out of you, no? Anyway, after the attack Harper inherits powers and becomes a Paladin, the next in a long line of guardians now responsible for protecting David Stark, who may or may not be her high school nemesis and key to earth’s destruction. Quickly, the story evolves into one about friendship, trust, and stepping up to accept the responsibility to do what’s right when you have the power to do so. Shoe-induced deaths aside, there is so much to appreciate about this book. It’s completely original, the world-building well-fleshed out yet surprisingly easy to digest despite its complexity. “Paladin” is word rarely seen in YA lit, but the way Hawkins has integrated her magic system into Harper’s world is so flawless it feels almost easy, leading one to wonder why paladins aren’t already more popular. Learning about the different kinds of magic, the Paladins’ position and place in history, and Harper’s new role as a guardian is an adventure in itself, one that unfolds naturally with twisty reveals up until the very end. Truly, if you’re interested in unique low fantasy, it doesn’t get better than this. Even Harper, as preppy perfect as she may come off at first (the result of working very hard to win at life), is unique, especially in our world where readers are still quick to embrace the Katniss kind of “strong” heroine. For lack of a better word, Harper is girly, a real Southern belle, but unwilling to shy away from danger or doing what needs to be done to protect those in her life. She cares deeply about people, and some scenes are so saturated with FRIENDSHIP that it’s two hugs away from being gross. In addition, true to Hawkins’ personal writing style, Harper comes with a dry sense of humor that’s hard not to appreciate regardless of your regular taste in comedy, especially when she’s with David. Romance-wise, just by reading the description you can guess who Harper is going to be kissing by the end of the book, but how the romance develops might be surprising because…because….well, it ISN’T rushed. David himself is a character that’s just as unique and well-developed as Harper. He’s not the expected “dark and mysterious” boy with sculpted muscles, piercing eyes, and love-at-first-sight oily magnetism. He’s David, a journalist hipster with posters of Middle-earth on his walls and an attitude to rival Harper’s. The two make an unusual pair but they’re far from forced, growing together as the mystery that is Paladin History unfolds. You believe in their friendship before you believe in the romance, which is always the kind of love I hope to find in YA lit. I really could go on and on about this book, but I think I’ve gushed long enough to make my point. TL;DR, the bottom line is that Rebel Belle is a must-read for those looking for a low fantasy book with a lot of plot and character development (but is still easy to follow), humor, and a promise of darker magic in the next installment. Trust me, you’ll be craving sweet tea and the sequel when you’re done! The First Post is Always Awkward. ……………..Wow, I typed the title as a joke, but now I’m realizing the first post IS always awkward. Damn. So, a bit about me in case you’re curious: I’m a twenty-something grad student working towards my masters in publishing at Rosemont College in the Philadelphia area. I read books, I write books, I obsess about Walt Disney World and spend way too much time playing Pokemon. 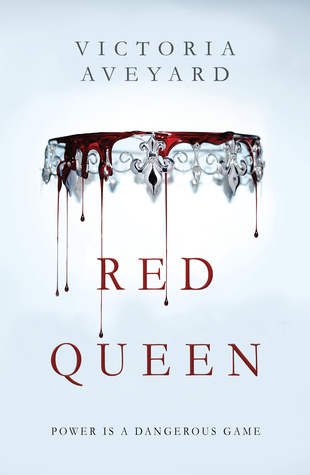 I used to run Oktopus Ink, a blog dedicated to young adult and middle grade scifi and fantasy book reviews, but for various reasons (some of which will be revealed in due time, hehe) I decided to close it and start fresh over here at A Spoonful of Words. 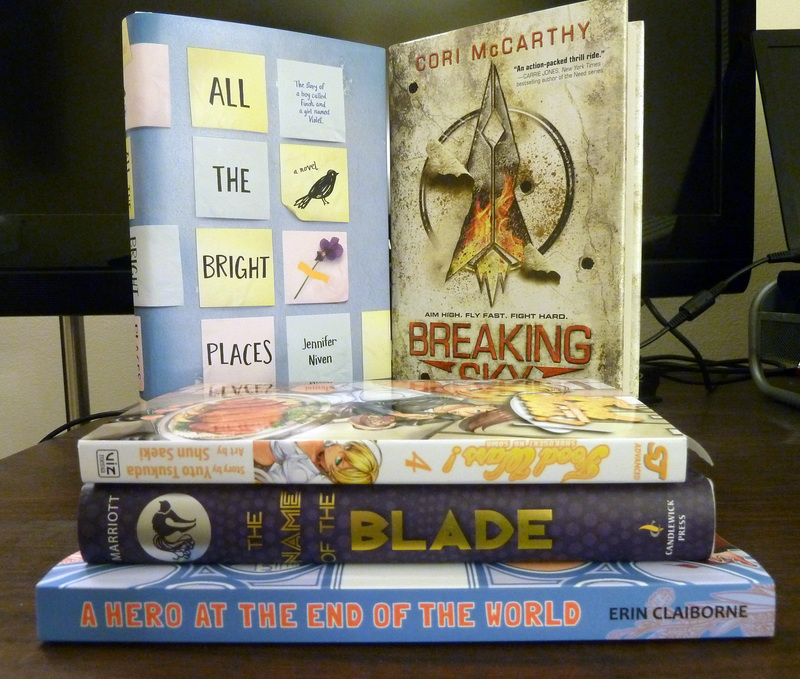 Like Oktopus Ink, I plan to focus on YA & MG scifi and fantasy book reviews since that’s where I invest most of my reading time, but every once in a while I might slip and throw in some contemporary or historical fiction. Since I’m working on becoming part of the publishing industry, I’ll probably spend a bit of time blogging about publishing news or writing-related events such as NaNoWriMo, which is my favorite form of self-torture I usually participate in. 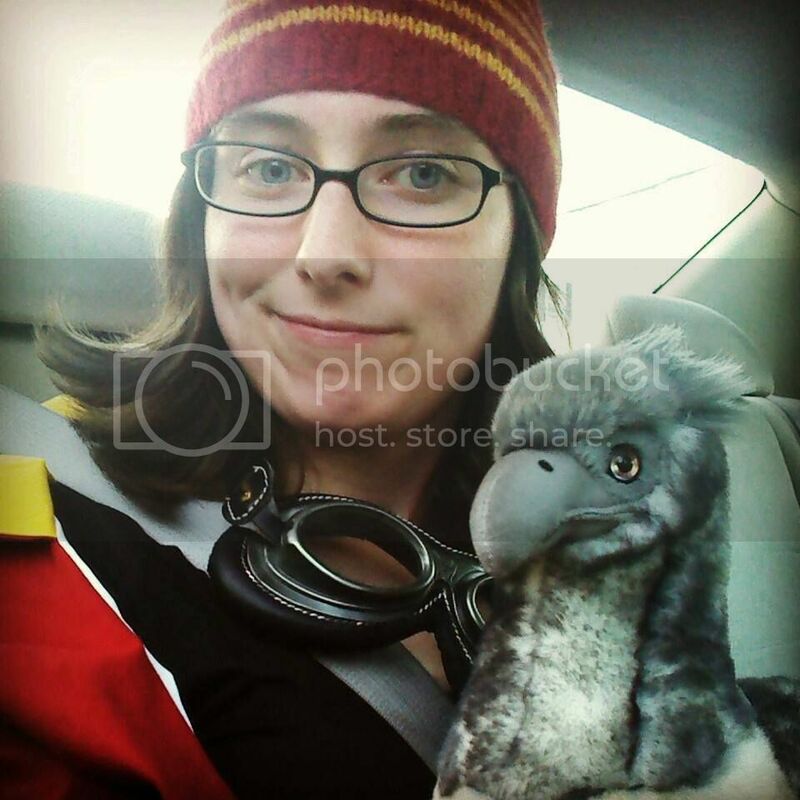 Oh, and I’ll blog about bookish events, too! My friends and I like to joke that we’re book chasers instead of storm chasers, chasing author tours as they come into town. Anyway, that’s all I have to say for now. For those of you who have followed me here from Oktopus Ink, thank you thank you thank you, and I’m so sorry posts have been far and few between over the last few months. For those of you who are new readers, I hope you find something entertaining or helpful on this blog! If you have any questions or whatever feel free to send me an email or leave a comment! Hope y’all have a great week, and happy reading!